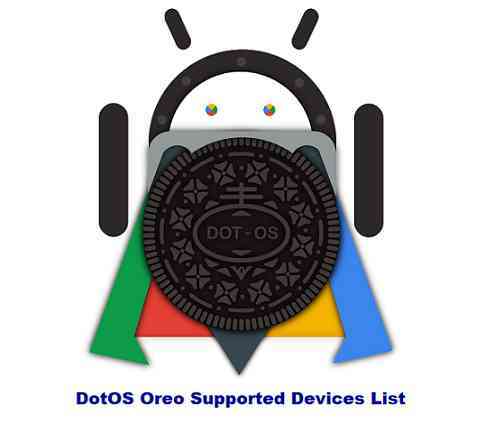 DotOS Oreo based on Android 8.1 is now available to download for many devices. It’s been a couple of quarter since Android Oreo source code made public and many devices are getting DotOS Oreo support now. Here is a list of supported DotOS devices available OFFICIALLY and UNOFFICIALLY. DoT in the DotOS stands for Droid on Time. DotOS is an Android custom ROM that is claimed to be light weight in terms of size yet efficient and powerful the way it should be. DotOS ROM does not follow similar versioning convention wirth respect to Android version. DotOS v12.1 corresponds to Android 8.1 update. To distinguish that, I will simply stick to DotOS Oreo and DU Nougat like that. Initially DotOS was started by Mohan CM and later joined by Ganesh, Sam, Kuber, Iacob and Hari. As always the DotOS Oreo ROM does not come with pre-installed GApps (Google Applications) because of Copyright issues, so, you need an extra Oreo 8.1 GApps to be installed via a custom recovery. Also, this DotOS Oreo ROM does not come with built-in ROOT binary, hence you need the supersu ROOT binary to be installed after installing the DotOS Android Oreo 8.1 ROM.